The job of a CEO is almost impossible to define. It is the most powerful and influential position in any organisation, yet very little discourse exists that attempts to provide a succinct formula for doing the job, never mind doing it well. In Being the CEO, Michael Pain, the Founder and CEO of Forum Strategy – a national company that focuses on strategy and organisational development consultancy – approaches the subject with delicacy and well-refined insight. 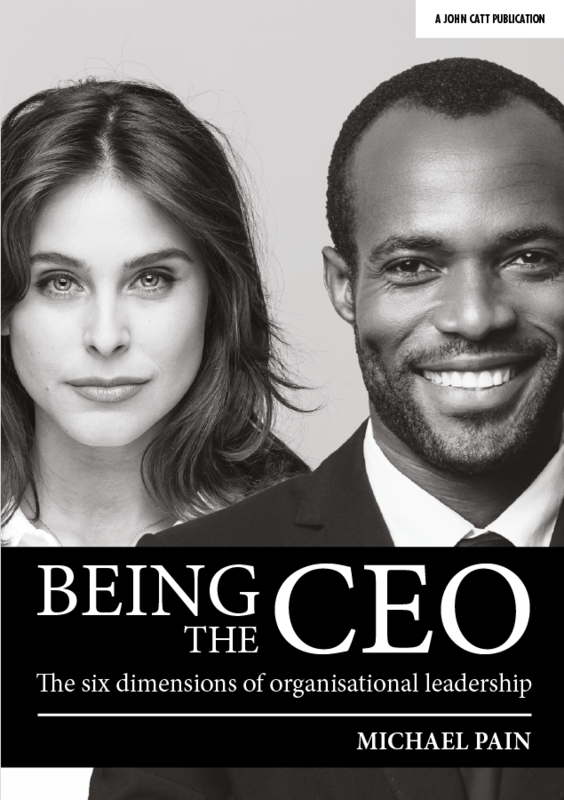 This sharp and insightful book sees Michael use his knowledge and work on organisational strategy and development to lay out the six dimensions of the CEO, which reflects the six areas that are key to sustainable growth and success, with a unique look at sustainable organisational improvement and relevant policy and research insights. Michael Pain is an adviser to CEOs, a researcher, a leadership trainer, and a speaker on leadership, vision and responding to the contextual issues that are facing the education system and society. Michael was formerly Head of Policy at the National College for School Leadership and, before that, an adviser to a number of politicians. Schools Week, TES, Academy Today and Education Executive have published his thoughts and advice. He has also led a number of high profile policy-roundtables with organisations such as Ofsted and the National Governors Association, including on the future of MAT accountability and the recruitment and training of trustees.